The Jewish Free Press, Calgary, October 20, 2005, p. 10. Donin, Hayim. Sukkot Popular Judaica Library. Jerusalem: Keter Books, 1974. Goodman, Philip. 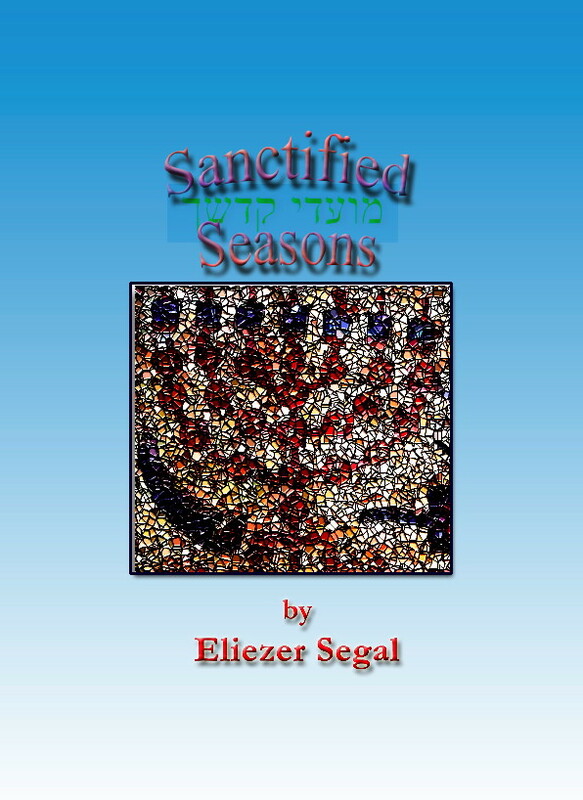 The Sukkot and Simhat Torah Anthology. Philadelphia: The Jewish Publication Society of Amerca, 1973. Rubenstein, Jeffrey L. "The Symbolism of the Sukka." Judaism 43 (1994): 371-387; 44 (1995): 373-98. For many of us, the main attraction of Sukkot lies in the way that it puts us in touch with nature. There is, however, a considerable body of Jewish interpretation that takes a diametrically opposite perspective, and regards the festival as a rebellion against the domains of nature and materialism. This approach is rooted in an incongruity that was pointed out by Rabbi Jacob ben Asher, the fourteen-century Spanish author of the Arba'ah Turim: If this holiday is supposed to commemorate the sojourn of the Israelites in the wilderness following their liberation from Egypt, then why were we commanded to dwell in the sukkah during the autumn, rather than in the springtime, when the Exodus actually occurred? Would it not be more logical if the Sukkot rituals were observed as part of Passover? Rabbi Jacob resolved this dilemma by pointing out that it is precisely the unnaturalness of the practice that demonstrates its purely religious motive. During the warm days of springtime, it is normal for people to erect rustic booths to provide them with shade; and if Jews were to practice their ritual during that season, observers would not appreciate that they were doing so as a testimony to their faith in God's power. Hence, by ordering us to forsake the comforts of our warm homes during the cold and rainy days of the late autumn, we are making it unmistakably clear that we are doing so in order to acknowledge the miracles that were performed for our ancestors in the wilderness. I suspect that the formulation of Rabbi Jacob's problem was influenced by the specific agricultural and climatic realities of medieval Spain, which differed from those of the ancient Israel. Whereas in the Middle East it was common for farmers to dwell in makeshift sukkot while they were in the fields harvesting the crops, it seems that in Spain such structures were used primarily for recreation or enjoyment. Many other Jewish commentators built on Rabbi Jacob's insights in order to develop subtle philosophical interpretations of Sukkot that go beyond the simple historical and agricultural rationales provided by the Torah. They focus instead on how living in a sukkah involves an implicit defiance of the natural order. Typical of these thinkers was Rabbi Isaac Arama, author of the Akedat Yitzhak commentary to the Torah. Rabbi Arama pointed out that by dwelling in booths, we are expressing a profoundly spiritual perspective about the relative importance of material existence vs. eternal life. Most humans spend futile lives in virtual enslavement to the amassing of wealth and physical pleasures. Therefore, when Jews forsake their permanent houses in order to dwell in fragile and impermanent structures, they are demonstrating their independence from the illusory realm of materialism, and declaring their spiritual liberation as creatures whose main allegiance is to a higher truth. While we are dwelling in our plain booths, we are symbolically rejecting the idolatries of greed and luxury, and expressing our conviction that day-to-day earthly existence, which most people experience as the only known reality, is for Jews nothing more than a foyer to the ultimate reality of the next world. This line of thought was developed still further by Rabbi Moses Alsheikh, the noted commentator from sixteenth-century Safed. Like Arama, he stressed that the human soul has a uniquely spiritual vocation, and in the larger scheme of things it is destined to transcend the paltry circumstances of physical existence. The brief sojourn that the soul spends enclosed in its fleshy garb is meant to be used as preparation for the purely spiritual existence that it will enjoy in the hereafter. As Alsheikh's imagery describes the process, we ready ourselves for eternity by cooking up a veritable feast of mitzvot, which provides us with a modest sampling of the incomparable metaphysical nourishment that awaits us in the world to come. In this context, the temporary booth exemplifies the fleetingness of our terrestrial lives, and encourages us to disregard wealth and social status. Rabbi Alsheikh's interpretation is based on the biblical teaching that Sukkot commemorates the wanderings of the Israelites' through the wilderness. He interprets this theme mystically, as a metaphor for our spiritual rootlessness: Just as the historical Jewish people have been uprooted from our geographical homeland, though we are accompanied in our exile by the divine presence, the Shekhinah-- so are our individual souls consigned to a state of metaphysical exile, distanced momentarily from the direct source of divine illumination. We are symbolically reenacting this predicament every year on Sukkot when we evict ourselves from our homes, and force ourselves to live in fragile and temporary booths. Alsheikh stresses that, like the Sukkot holiday itself, the anomalous state of spiritual malaise that it represents is only a transitory situation. Our ultimate destiny, indeed, is to be restored eternally to our proper spiritual destination. A further variation on this theme may be discerned in the popular commentary by Rabbi Ephraim of Lencziza, the Keli Yekar. As is his custom, Rabbi Ephraim arrives at his ingenious interpretation by focusing carefully on the details of the Torah's wording. The relevant passage in the Leviticus (23:42) commands: Ye shall dwell in booths seven days; every ezrah in Israel shall dwell in booths. The rare Hebrew word ezrah, which most commentators and translators render in the sense of native-born, was understood by Rabbi Ephraim in a radically different way, as referring to sojourners and wayfarers. Hence, those who observe the precept of sitting in a sukkah are thereby symbolizing the condition of a human soul that is paying a fleeting visit to the physical world, but will ultimately be returning to its eternal abode. In response to Rabbi Jacob ben Asher's question about why the Torah commanded us to celebrate Sukkot in the fall, the Keli Yaqar and some other commentators offered an additional explanation, based on their astute insights into human nature: It is during the harvest and ingathering seasons, when we are overwhelmed by the abundance of nature's gifts, that humans stand in greatest peril of being seduced by their material affluence. In those lush times, it is all too easy to imagine that the physical world constitutes the totality of our lives, and that we are the masters of our destinies. In order to fend off such subversive philosophies, the Torah commanded us to give allegorical expression to the transience of this world, by transferring our residence to crude and flimsy booths. I confess that I am generally wary of any interpretation of Judaism that is overly dismissive of the here-and-now. At any rate, in a society that can easily become complacent in its prosperity, security and good health, it is important to be reminded on occasion how suddenly we can be visited by personal, national or global tragedies. By calling our attention to the delicate status of our current wellbeing, the annual Sukkot experience helps us cope more effectively with any unpleasant trials that might confront us. Of course, it would be better if no one ever had to struggle with such challenges. But that is as unrealistic an expectation as a Sukkot when it can never rains.